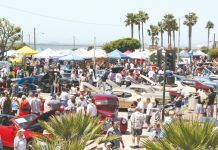 Seal Beach’s DOJO by Leo Vieira celebrated its one-year anniversary on May 19th. 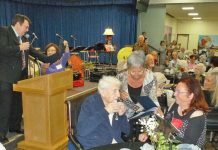 The anniversary was celebrated with the student’s Spring Belt Promotion Ceremony, healthy food catered by “Mealsdotkom”, and a Hawaiian shave ice truck. Opening the celebration, Master Leo Vieira delivered a speech to all the families and kids, thanking the community, parents and kids for all their support and hard work in making DOJO’s first year such a success. He emphasized how the teachings at DOJO and the discipline of Jiu Jitsu helps the students in learning how to set a good example at home, in school and in every day life. He also emphasized the importance of the students supporting each other in their Jiu Jitsu training. The hard work and dedication by the students was evidenced by all the progress stripes and belt promotions awarded at the ceremony. 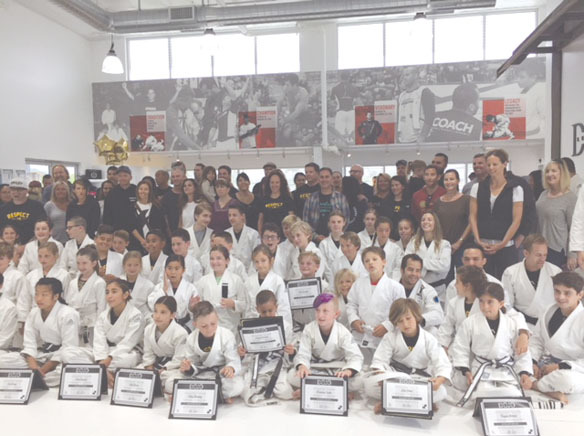 Students promoted to gray belts were Dexter Duran, Faelan McGowan, Jameson Smith, Eli Simon, Jack Wing, Drew Phung, Mia Berro, August Nichols, Teagan Nichols, Ethan Steinberg, Erin Chang, Max Gardiner, Ava Gonzalez, Renata Gonzalez, Donovan Grethe, Zane Simon and Tristan Carvajal and Cade Pacheco. 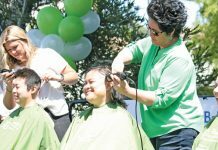 Most are students at McGaugh Elementary, Oak Middle School and Los Alamitos High School. Several international Jiu Jitsu fighters attended the ceremony in support of DOJO and Master Leo. With the Jiu Jitsu World Championships being held at The Pyramid at Long Beach State starting on May 31, fighters from around the globe have come to DOJO and Checkmat Headquarters in Long Beach to train with Master Leo for the competition. With the school year quickly coming to an end, registration for DOJO’s Summer Camp and upcoming kid’s competitions is now available. For information on DOJO classes and schedule go to www.dojosealbeach.com or call 562-430-0303.